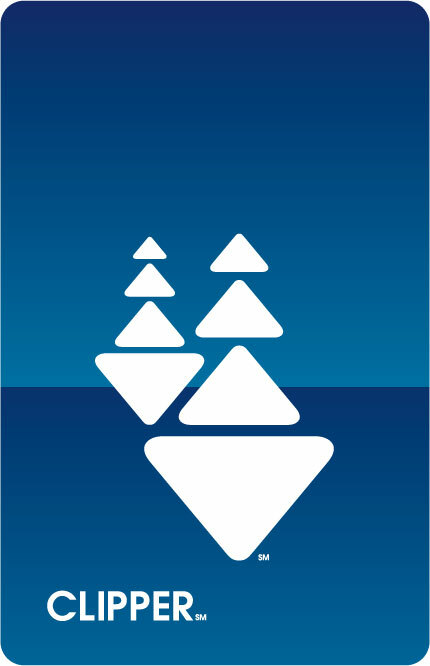 Clipper is an electronic fare card for transit agencies in the Bay Area. The primary purpose of the Clipper card is to make the fare payment process easier, especially for commuters that depend on different agencies. Clipper card has become a necessity for many frequent transit riders because nearly all transit agencies (including Caltrain) that have accepted Clipper now only offer its passes for Clipper cards only. To use Clipper to pay, just tag on card on the reader located on board the vehicle or at the station. A beep will signal that the fare amount has been deducted or the pass on the card has been validated. How to get a new Clipper card? Most Walgreens in the AC Transit, Golden Gate Transit, Muni, SamTrans/Caltrain, and VTA areas. Muni ticket machines at underground Muni Metro stations (including 4 downtown SF BART stations). Golden Gate Ferry ticket machines at the Ferry Building, Larkspur, and Sausalito ferry terminals. Regular Clipper card costs $3. 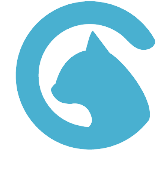 It is free when ordered online with autoload. Cards for youth and seniors are free. 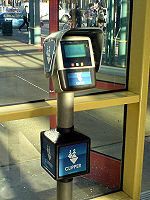 Clipper Add Value machines at 4th & King, Palo Alto, and San Jose Diridon stations. BART ticket machines at all BART stations (e-cash only, no fare products). Set up Autoload, where values are automatically added from your bank account or credit card whenever the value on the card has dropped below $10 or when the pass is about to expire. Overall, there are only 6 Caltrain stations where you can add values or pass onto your Clipper card. If you choose to add value through the web site, it would take up to five days for the values to show up on the reader. If you want to use your values immediately, you will need to add value through retail outlets (like Walgreens), transit offices, or add value machines. Clipper card reader at a Caltrain station. To pay the train fare with a Clipper card, you need to tag your card on a reader located at the station before boarding and after exiting the train. All riders need to do this on every trip except those with monthly pass, which they only need to tag on and off on their first ride of the month. Even if you have a pass or 8-ride ticket and you don’t ride anything other than Caltrain. Your card needs a minimum cash value of 1.25 in order for your card to work on Caltrain. The one way fare on Clipper is 25 cents lower than the cash fare. 10-ride and monthly passes are only available on Clipper cards only. Even if plan to ride a few times a month, it would worth the hassle to get the Clipper card. To get a monthly parking permit, first buy a monthly pass on your Clipper card, then go to a ticket vending machine two days later to buy a parking permit. The machine will ask you to enter the serial number of your Clipper card to verify. Always keep $1.25 cash on the card. Know where the Clipper card readers are. There are no signs at the station directing you to the nearest reader. At some stations, the readers unfortunately are poorly located. If you transfer to BART at Millbrae, make sure to tag off on a Caltrain reader before tagging on at a BART fare gate. If you don’t have a monthly pass, you need to tag on and off for every ride. If you don’t tag off, you will get overcharged for the highest one way fare available. If you forgot to tag off, you will have time (4 hours from the first tag) to tag off to avoid getting overcharged. If you have a 10-rde ticket or monthly pass, your ride will not be deducted off the ticket or pass; cash value would be taken instead. If you have a monthly pass and want to ride beyond the zones on the pass, you need to buy a paper fare upgrade from a Caltrain ticket machine. If you use your Clipper card, you will pay the total fare from the cash value. If you need to use the card to ride Caltrain same day or next day, go to a retail outlet or a vending machine to add value or pass. There will always be a lag time paying online. Clipper in concept should ease payment beyond the standard paper tickets. However Clipper was delayed for years (it was first called Translink when it began testing in 1999) and is full of gotchas especially for Caltrain. Difficulty of getting Clipper, particularly among the senior, immigrant, and low income population, discourages transit ridership and even decrease school attendance for the youth. New or retrofitted Caltrain ticket machines to allow distribution of new cards and add value or pass to existing cards at any station. Better signage at stations to direct riders to the nearest reader. Better placement of readers at stations. One tag at Millbrae when transferring from Caltrain to BART. Shorten the time between adding values online and ability to use the card to ride. If the time cannot be shortened, some type of temporary paper pass should be made available for those who bought a monthly pass. Eliminate traditional passes and replace them with a fare cap similar to London’s Oyster card, or have a pass good on different transit agencies like Seattle’s ORCA card. They both use a common smartcard technology. Expanded retail network and better outreach, particularly among the low income and immigrant communities. If the Clipper system cannot be cost-effectively improved (so far most of the improvements require about $0.5 million fee to the Clipper contractor), there should be an evaluation of paper passes or other payment technologies. Other service sectors, including the airlines, are able to take advantage of open-standard technologies including smart phones as part of payment/ticketing system.